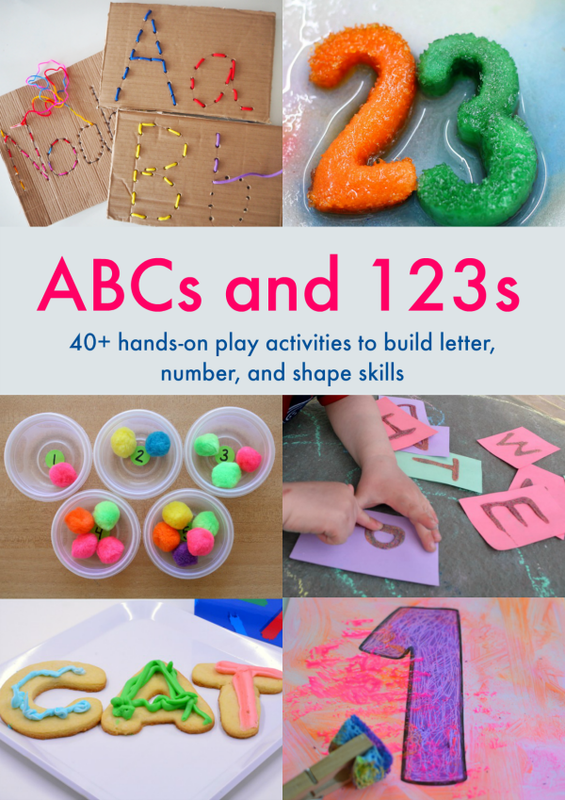 How Do I Introduce the ABC’s and 123’s to Preschoolers? As an educator for 33 years, I’ve often fielded questions from parents and colleagues about appropriate ways to introduce literacy and math concepts to preschoolers. 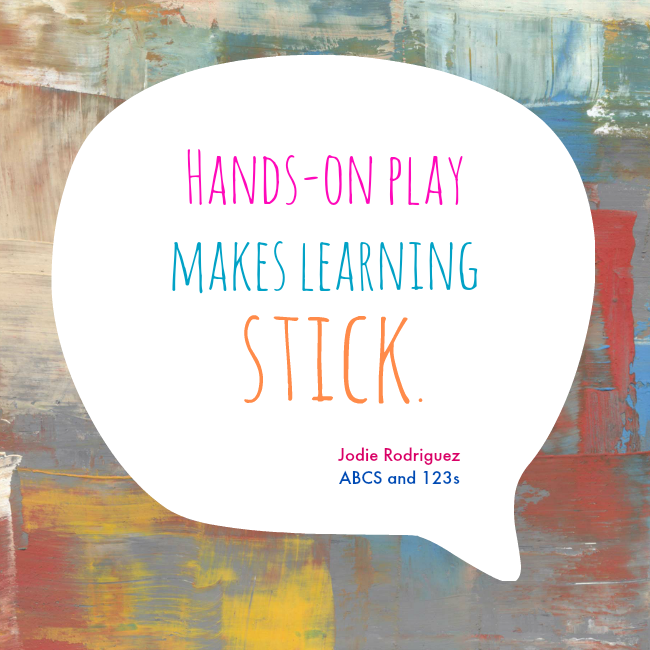 I’m honored to co-author the ABC’s and 123’s Book to guide parents and teachers toward developmentally appropriate practices for playful learning with their own kids at home or in the classroom. Disclosure: This post and others within this blog may contain affiliate and/or distributor links. Please see the ABOUT page for full disclosures. All the activities in the book are FUN! Every activity has been tried, tested, and approved by our own children. The activities are based on play – your children will be exploring and learning through their senses. Preschoolers will love the engaging invitations while building important skills through play. 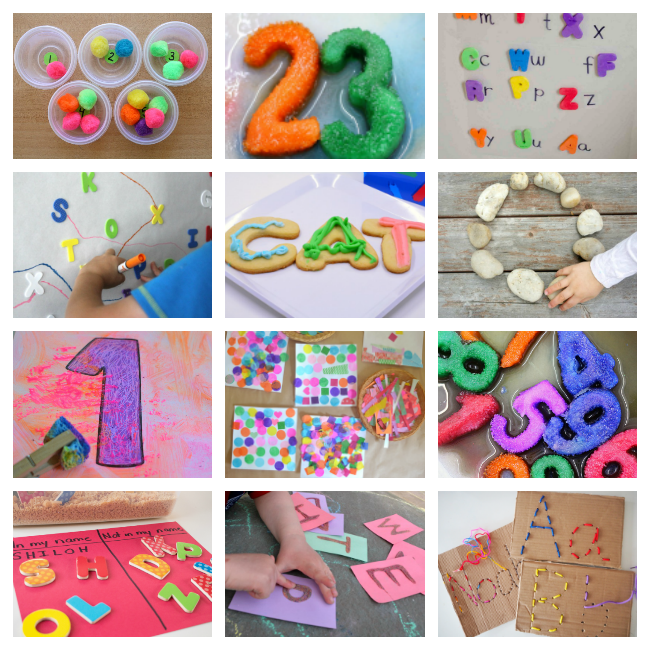 The activities have been carefully chosen to offer a wide range of math and literacy skills, working across the curriculum to incorporate play, imagination, science, sensory, and art. When kids are challenged to use critical thinking and to problem solve while PLAYING, they gain skills to last a lifetime. This is an ebook, which means you will be sent a link that allows you to download a PDF containing the ebook and all the resources. You can save it to your computer or iPad* and then either read it on screen or print some/all of the pages, as you prefer. You can buy the ebook wherever you are in the world. You pay via PayPal, which will take care of any currency conversion for you. The ABCs and 123s ebook is protected under copyright © 2016. All rights reserved. « 38 Ocean Themed Activities for Preschool!